Personalized, single passenger transportation for clients that require that extra level of service. Accommodating the needs of the individual client, we go beyond curbside service. We assist our clients all the way to their destination whether that is to a family or social event, doctor's office, hospital room, clinical suite, or back home. Transtar operates throughout the greater Milwaukee area, Green Bay and the Fox River Valley. We also provide longer distance transports for trips that begin or end in Milwaukee or Green Bay WI. Whether you need transportation in and around the city or you need to travel a greater distance to get there, give Transtar a call. Specialized transportation services customized to fit your needs and level of assistance. We will get you where you're going safely, reliably, on-time, and on budget. 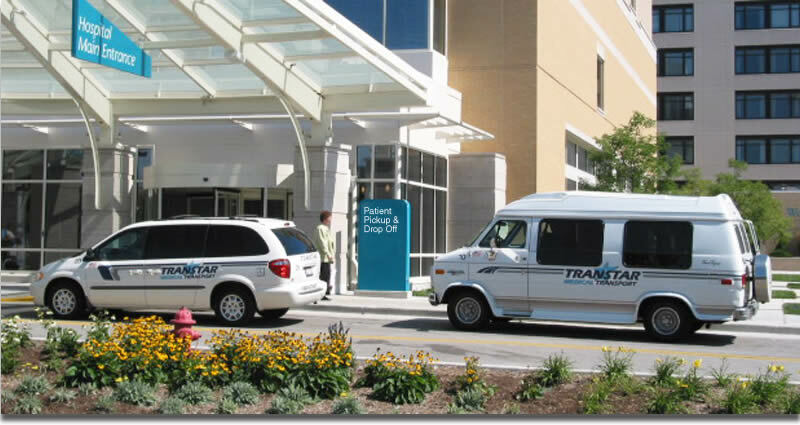 Superior service is the reason we have many hospitals, healthcare facilities, families and individual clients who rely on Transtar for all of their transportation needs.